Home Photos Frances Miller posted this great Photo from Sugar Mountain this weekend! 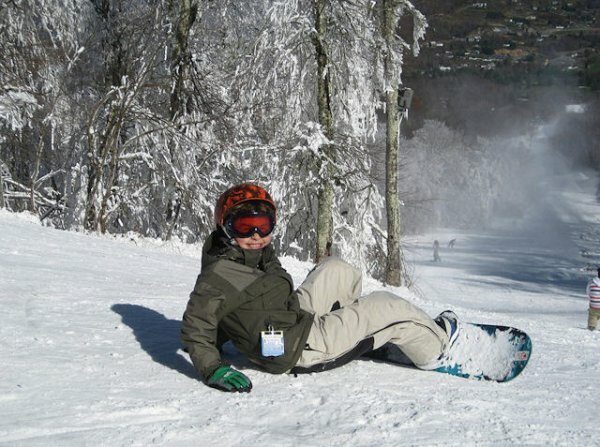 Frances Miller posted this nice snowy photo from Sugar Mountain this weekend November 6-7, 2010 as Sugar opened for the season with a reported 3-4″ of natural snow and a day and a half of snowmaking ops. Previous Post Snowshoe Cranks Up the Snowguns this Past Weekend! Photo by Ed Schneider Next Post Snow covers a cemetery with one lone US Flag raised – We honor our veterans today.